Although Sweethope provides a secluded retreat it is surprisingly accessible to explore this beautiful area. The A68 is just a few miles west and the A696 a similar distance to the east. The picture postcard village of Bellingham offers a good selection of facilities, including a tourist information office and heritage centre, and a highly regarded 18-hole par 70 golf course is on its outskirts only 8 miles away. Otterburn Mill is popular with visitors being a short drive north. 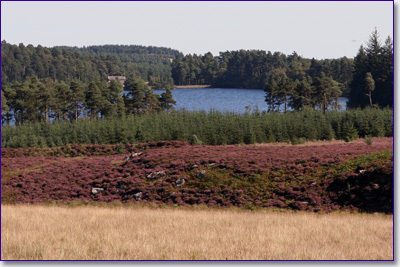 Pony trekking, windsurfing, sailing, and ferry trips are only a small sample of the many outdoor activities that can be arranged at Kielder Water, Northern Europe's largest man made lake. The historic market town of Hexham, dominated by its majestic abbey, is only 19 miles away. The world heritage site of Hadrians Wall, England's largest heritage site within the most notherly National Park is within easy driving distance. Nearby Kirkharle, the birthplace of the famous Capability Brown, offers a selection of artisan craft shops and a popular coffee shop. Take time to visit the ancient town of Morpeth or the vibrant city of Newcastle and the Gateshead Metro Centre, all within an easy drive. Rambers and cyclists will enjoy the miles of bridleways and footpaths while taking in panoramic vistas of the wild and unspoilt countryside. Whatever your interests, Sweethope provides an excellent base to explore the many delights across Northumberland and provides easy access to the Scottish Borders.